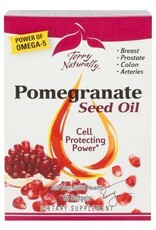 Pomegranate Seed Oil provides a more complete source of pomegranate nutrients, with a full range of benefits. It's the extra pomegranate power you need every day in just one softgel. Feel the power forever. 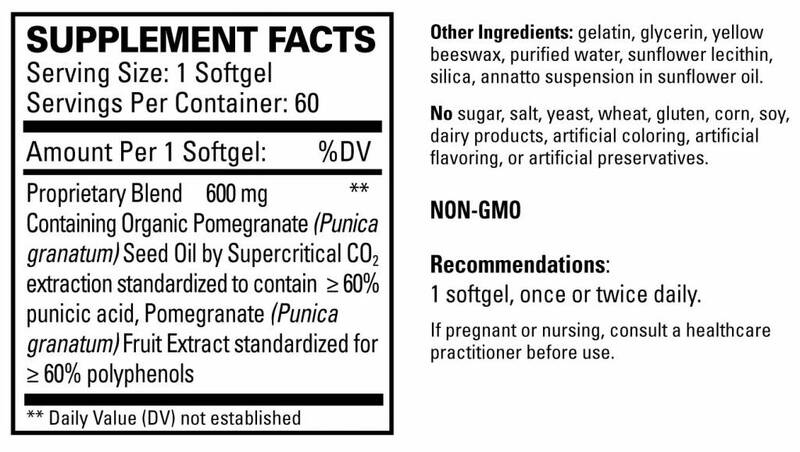 Supercritical Seed Oil Extract: Pomegranate is the only plant providing punicic acid Omega-5 from seed oil - along with potent phytosterols, oleic, and linoleic acids. 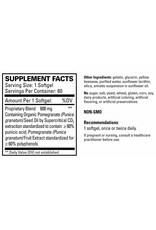 Fruit Extract: Protects against the risk of oxidative damage to the DNA with effective polyphenol antioxidant compounds to help ensure healthy cellular replication throughout the body. Supports healthy hormone balance for breast and prostate tissue, colon cellular health, and strong blood vessels and arteries. 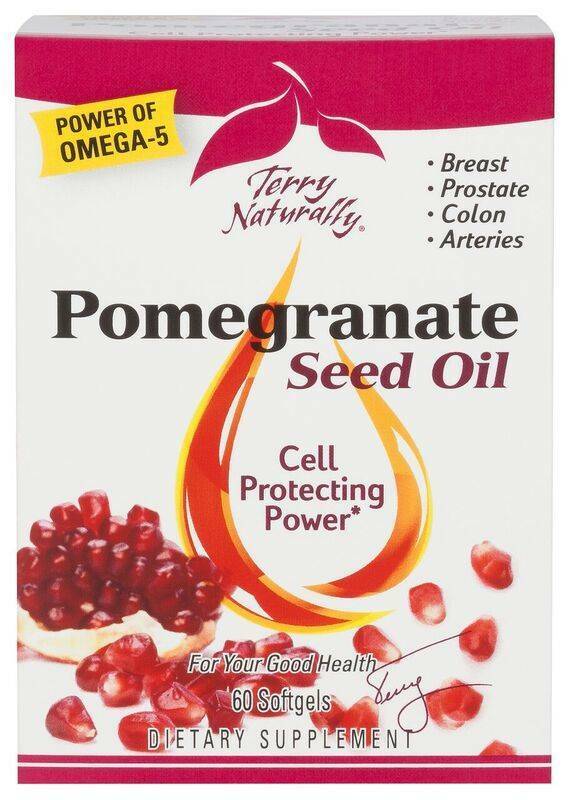 Pomegranate Seed Oil with the Powerful benefits of Omega-5 (Punicic Acid): This unique and rare omega fatty acid has shown to support the delicate balance of hormones that affect the function of breast, prostate, and colon cells. It also supports a healthy endothelium (lining) in the arteries. A polyphenol blend combining seed oil with pomegranate fruit extract ... this blend is like no other!